Strategic Housing Land Availability Assessment (SHLAA), is a document produced by Wyre Borough Council. It is a technical document which will form an important part of the evidence base for the Core Strategy and the Site Allocations Development Plan Document (DPD). What this means is that all of these sites will potentially be part of the Local Development Framework (LDF) which will guide planning decisions in the borough and therefore could have houses built on them by 2027. 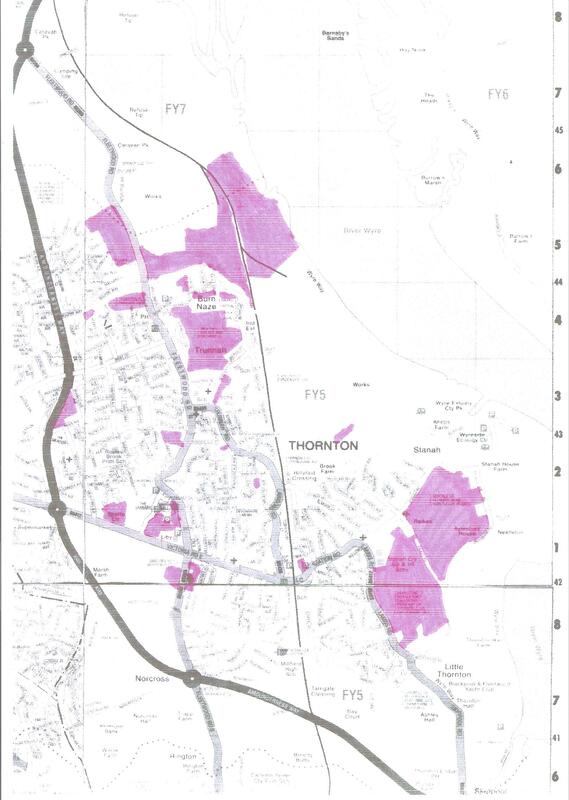 The coloured areas on the above map indicates the location and approximate extent of sites identified by Wyre Borough Council in the approved Strategic Housing Land Availability assessment (SHLAA) . This map was sourced from WBC website. If you have a few hours to spare, and can understand council talk, more information can be found here.